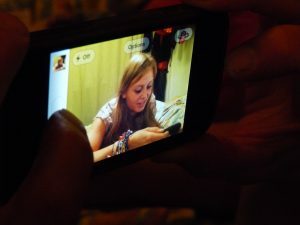 Many parents ask me “How much screen time is ok for my child?”, “Will I damage my child by refusing any screen time?” One of the most difficult tasks nowadays is that we have to decide how much screen time we allow our children. We want to be able to make an informed decision about our children’s use, as it might affect their development and health. Unfortunately there is not yet research done on the long-term effects of screen time exposure, the generation grown up with devices all round still is quite young and the number of devices is growing and more an more accessible to younger children. Being true to our own norms and values is the only way for us to stick with ourselves. Please don’t forget you don’t have to be consistent, you only have to be able to stick with your day to day decisions. So if our Baseline is low, forget about making any changes, as we will not have the resilience to stay true to ourselves. The only thing we can do is be true to ourselves and inform ourselves and follow our instincts, so later in life when our children are grown, as mine are, and they say something like “I hated that I …….”, we can honestly say “I’m really sorry, that was never my intention, I did the best I could under the circumstances”. The recommendations from psychologists and psychiatrist changes over the years. Here you can find an overview of those changes (2016) and how their views might change in the near future again. Here you can read about Bill Gates rules for his children;)! 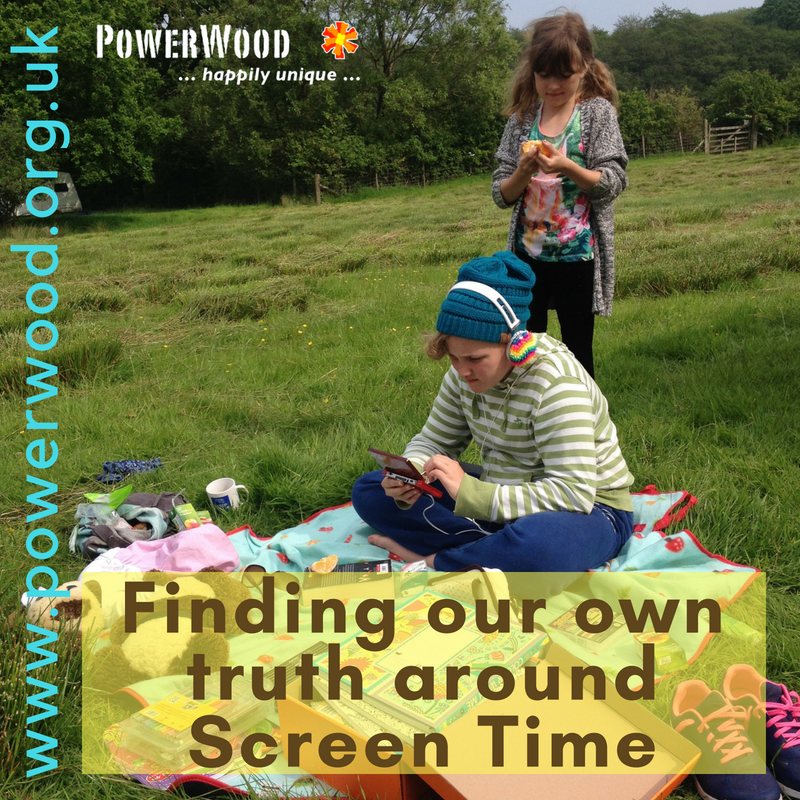 Acknowledging that using devices can be in a consumeristic way or/and a constructive way, and to sooth or to explore, together or alone is an helpful way of thinking about screen time. You might want your child to be able to take all the time needed to write an essay and search on the internet for further information on his or her topic on their tablet however you don’t want him to game for hours on an end when he feels lousy and in fact needs some attention. For young children, the most important thing is whether parents and kids are playing, watching or browsing together. In ‘With teen mental health deteriorating over five years, there’s a likely culprit’ makes clear that life for our teens is made more difficult by the combination of access to smartphones, lack of sleep and negative emotions inducing social media increasing depressions with 33 percent (USA). Teen suicide attempts increased 23 percent. Even more troubling, the number of 13- to 18-year-olds who committed suicide jumped 31 percent. We all would like to know is it all right to let our baby or toddler her play on our device? Read Top 5 Myths About Babies and Screen Time to get some food for thought. Although rules about how much time before bedtime to stop using devices isn’t influenced by what type of use, they generally advice 2 hours before going to bed no screen time. Bear in mind that our own use of digital devices has a huge impact on our children’s ‘normal’ behaviour as we are of course the most important model to our children. If we are always on our laptop or phone for whatever reason our children will have that tendency too. The way we were allowed to play outside and experienced personal freedom in the forests and on the fields, the children from this quick changing time and age find that freedom very often online in their games playing together with their friends. Also children need to learn to be electronic device literate and it is a bigger part of their lifes than we can imagine because the world and the kind of jobs that will be filled by them later in life are yet unknown. Karl Fisch’s ‘Did You Know; Shift Happens – Globalization; Information Age’ video raised in 2008 many questions about the faltering educational system in the US, and is followed by many updated/different angles versions, and makes clear why it is important our children are able to adept to shift during their life-time. Supporting your children to develop the skills to adapt to change is seen as one of the most important life-skills in the current economic globalising climate and is one of the crucial skills to be ’Successful Intelligent’ (Robert Sternberg). Most importantly we are responsible for the well-being of our children so if we feel something is not ‘right’*, please follow your gut instinct and explore seriously how you could approach the situation differently or if it would be helpful to set different boundaries or offer different activities. If a situation doesn’t feel ‘right’* its time to use our own OE to find creative solutions for the situation that we want to change. Screens are an inseparably part of modern life, why not contemplate to use it in a way that it also helps you to take better care for yourself and prevent escalations in family life e.g. time with your partner or a book and a bath. Pick your moments in which you allow screen time. Sunday mornings: a film with some healthy snacks and a package of apple juice, all prepared the evening before, the children knowing there will be a surprise for them in the living room, will offer you an opportunity to sleep in or have some private time with your partner. Around five crisis o’clock screen time can come in handy too to prevent escalations. The children are hungry and irritable, no energy left to behave, mum is often tiredly cooking the family meal. There is nothing wrong with offering some healthy snack (not too much, you don’t want to spoil their appetite, but enough to stop hunger taking away all the energy) and the children being allowed to be on a screen until they can help set the table or when dinner is ready. Just what gets you trough this challenging time. Discuss and develop your own personal family etiquette around electronic device use and give the ‘right’* example. I work from home and am always on my laptop (bad … I know;). I always tried (still do) to close down my laptop whenever one of the children (now young adults) or my husband entered the room or asked my attention. The now young adults now return the favour:). Explore beforehand together with your child the best way to communicate to prevent any escalations, what is the least disturbing in a certain activity and what is most helpful in helping to deal with transitions e.g. from gaming to meal times. Touch, Talk, Text, phone, Skype, WhatsApp, Snapchat, many ways are nowadays available to us. When I wanted to communicate something with my son while he was gaming (and even when he is now) I would send him a text-message on Skype as I knew he was using that to communicate with his friends in his team and he would be able to read that without his game being effected negatively. I was also prepared to get a real short answer like ‘No, 15 min.’ without being offended which allowed us to communicate and prepare him on what was going to come. We didn’t and still don’t look at our phones (much;) during meals and that makes our get-to-gathers a more enjoyable shared experience. Have fun exploring together what works for you and what feels ‘right’* for you in your specific family situation within your own choices. This was partly written because of a post in the PowerWood Group on FaceBook. I hope this helps:)! *’Right’ according to your own norms and values:)!